I’m doing the all-age part of the service on Sunday, which includes teaching a memory verse. That word ‘memory’ is important – how do I move from teaching a verse, to teaching people to remember? And how do I get it out of short-term memory into long term recall? Choose a verse that can be memorised. It sounds obvious, but some verses are complicated and others are simple. And some translations are simpler than others on the same verse. So given that memorisation is an odd task to do together, but one we want to encourage, choose something that has a fair chance of going in and staying in. And practice saying it out loud so you get to hear its internal rhythms. Decide if you are going to include the reference or not Because half the church will assume you will, and the other half will assume you won’t. Say what you’re planning to do, and lead it with confidence. Make it sticky. Don’t just print it out on some A4 sheets which you glue together. Make it visual, physical and not just about the words. Make it funny or extreme. 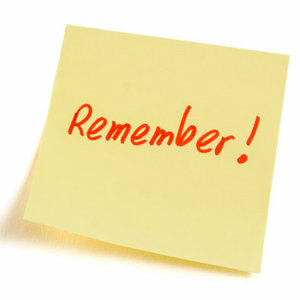 Give people clues to remember things by. Each clue you give increases the chance of the verse surviving an encounter with the rest of life. Explain the because. Why are you trying to get them to remember this verse? What’s important, or unusual, or unexpected about it? Answer their questions: When I have so many other things to remember, why should I clutter up my brain with this? Plan ahead and build up. Plan the verse in a series. Are you building up six verses in a sequence? Then remember all the previous ones each week. Given that repetition is the key, little and often, why not have the same memory verse each week for a month, and build up a battery of twelve verses a year? Keep reminding them, and put the verses on the notice sheets. And round about the time you’ll go mad if you hear it one more time… They might have got it. Oh, and use this in your normal sermons too. Why keep it for the kids?